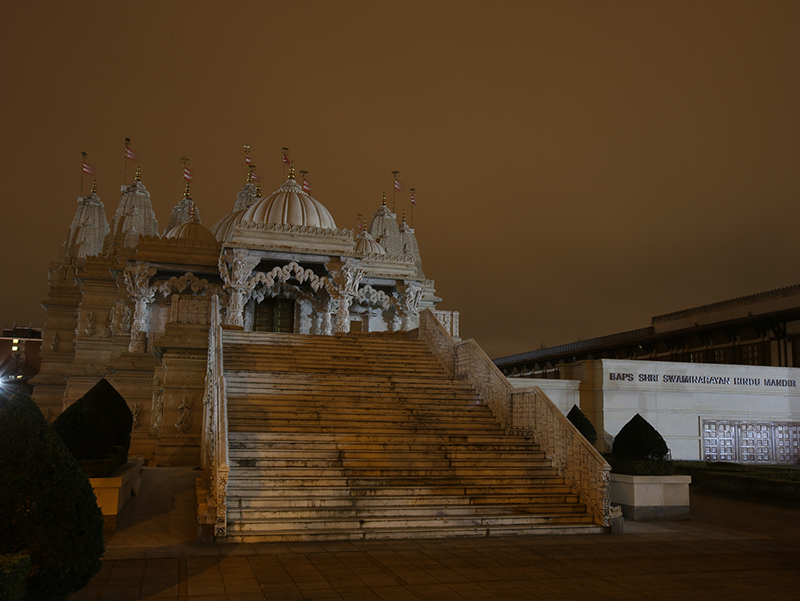 BAPS Shri Swaminarayan Mandir, London joined iconic landmarks as well as communities and organisations from 178 countries by switching off its non-essential lights to observe Earth Hour at 8.30pm on Saturday 19 March 2016. 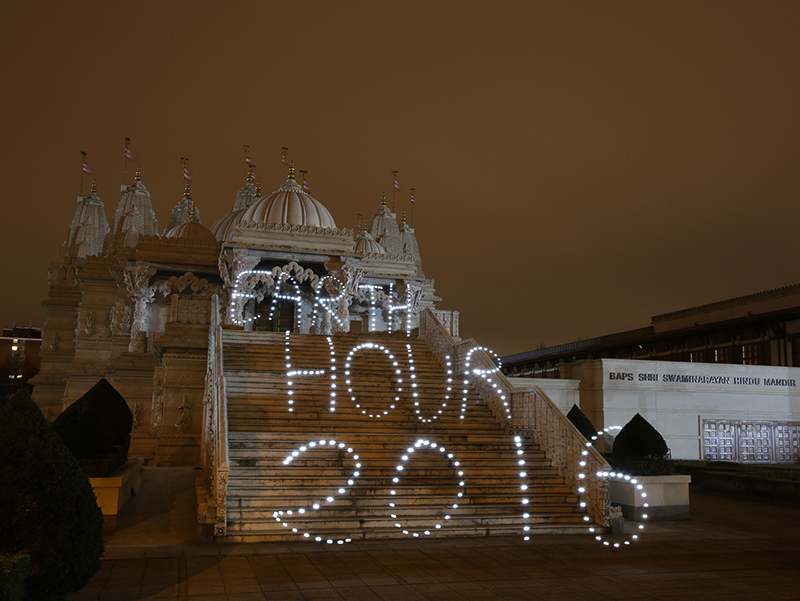 Earth Hour – the world’s largest environmental event – is a “global moment of solidarity for climate action” involving millions of people to raise awareness about protecting the future of the planet. More than 10,400 landmarks around the world, including the Eiffel Tower, the Empire State Building, Taipei 101 and the Sydney Opera House, as well as notable buildings in London, including Big Ben, the Houses of Parliament, The Gherkin, Piccadilly Circus, Harrods and the Ritz, participated in this year’s event. 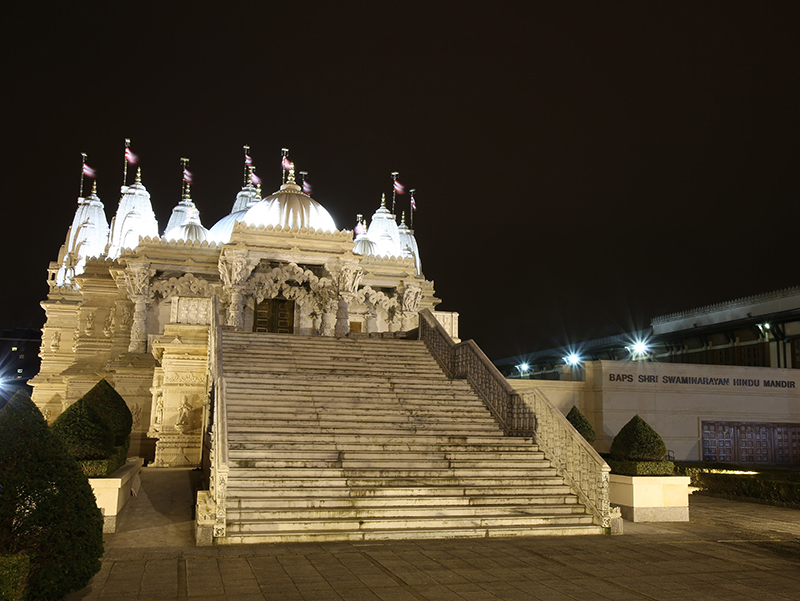 From participating in organised environmental events such as Climate Week and World Environmental Day, through to volunteering projects to clean local parks, waterways as well as awards for environmental features of its gardens, the Mandir is actively committed to a better environment. Also central to its construction and operations are number of key environment-friendly features. Please click here to learn more. A record participation once again in 2015 included 172 countries and territories, incorporating over 10,400 landmarks and close to 40 UNESCO World Heritage sites. This has been extended to 178 countries this year, with social media awareness campaigns being introduced to further its cause.